Hilary studied graphic design & illustration at Cambridge School of Art, leaving to work in the fast-paced world of magazine publishing. After a number of years she left publishing to build up a successful freelance design business. 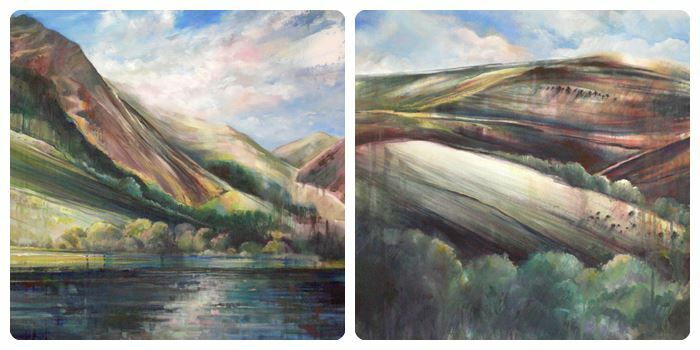 Five years ago Hilary moved to mid-wales to focus on being a full time artist. 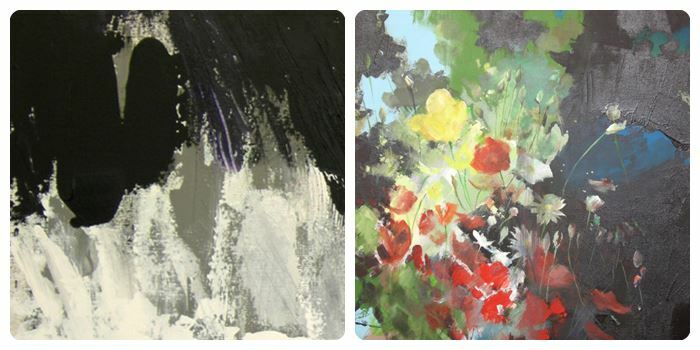 Her studio base is in Llanbrynmair and she has exhibited in Mid Wales Arts Centre, MOMA Machynlleth, Wyeside Arts and Powys Arts Month. 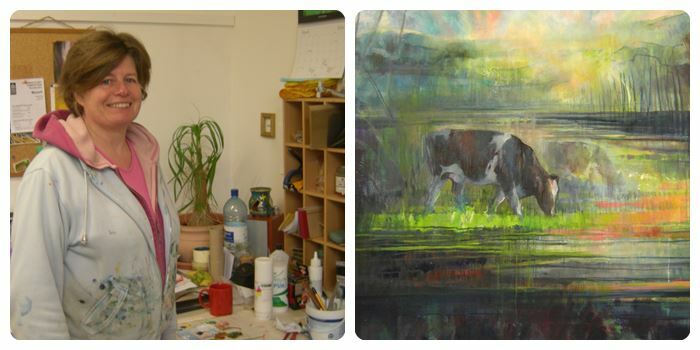 She has a permanent exhibition space with Dyfi Arts Guild in Y Plas Machynlleth. 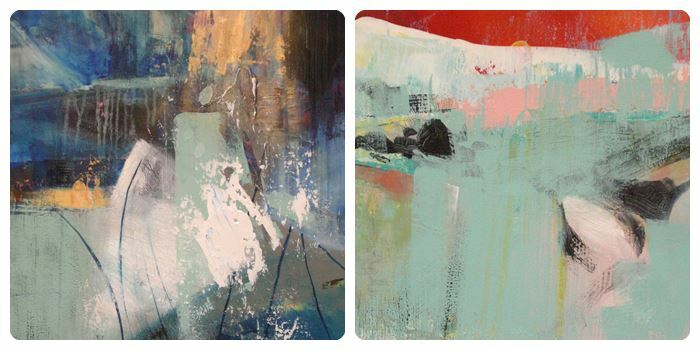 Her work is inspired by nature and landscape and could be described as semi-abstract. She aims to give a sense of place, capture a fleeting moment, with shape, line & texture often including an element of realism.